This group is an unnamed rack belonging to a veteran of the 2nd New Zealand Division in Italy who later served in the Occupation Force in Japan between 1946 and 1949. 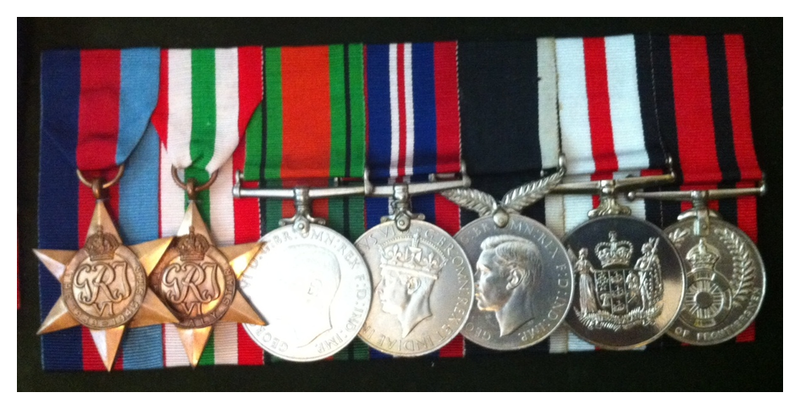 It consists of the 1939-1945 Star, the Italy Star, the Defence Medal, the 1939-1945 Victory Medal, the New Zealand 1939-1945 War Medal, the New Zealand 1946-1949 Occupation Service Medal and the LSGC Medal for the Legion of Frontiersmen. 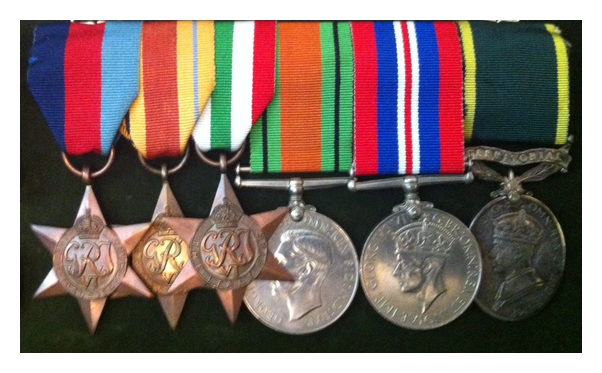 These medals belonged to James Stuart Farquharson, Private, 624746, NZ 2nd Division. James somehow managed to get to Italy in time for the surrender, then got sent to the Pacific in time for the surrender there. Lucky bugger! The Legion of Frontiersmen Medal is an unofficial non-sanctioned medal so really it should not be included with the others in this rack and I can only assume that the veteran placed it here so he would have a little more tin swinging on Anzac Day parades. This is my Italy Star. 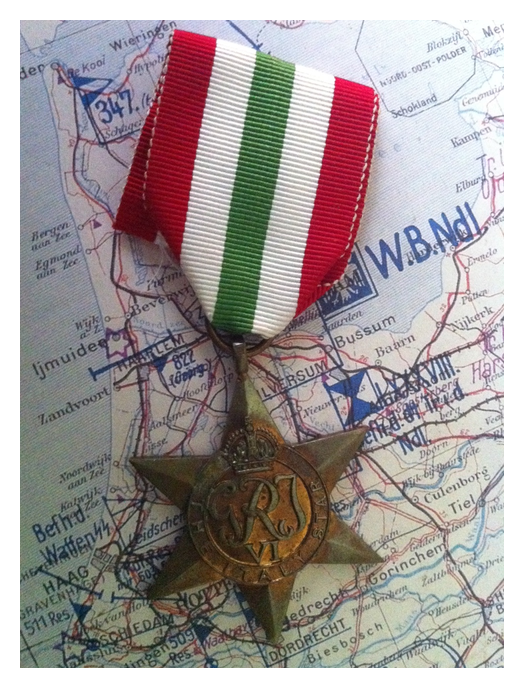 The Italy Star was a campaign medal of the British Commonwealth, awarded for service in World War II. This medallion was struck in 1944 and sold locally to the members of the U.S. 5th Army that liberated Rome from the Germans. 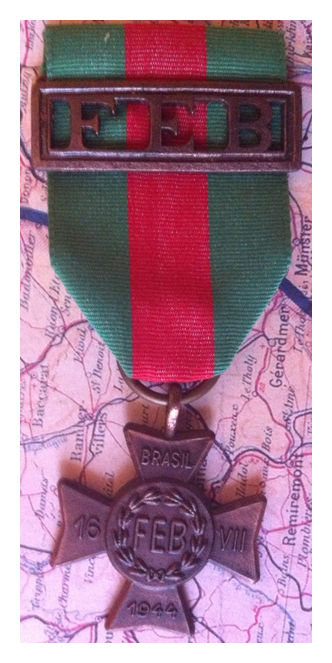 This medal, from Brazil, was awarded to the men of the BEF “Força Expedicionaria Brasileira” who deployed to Italy to join the Allies in fighting the Nazi’s. Miserably prepared by their government these men were fortunate to be taken under the care of the Americans who had to struggle to even find combat boots to fit the small feet of the Brazilians. They were well led however and undoubtably brave in combat considering their complete lack of experience. 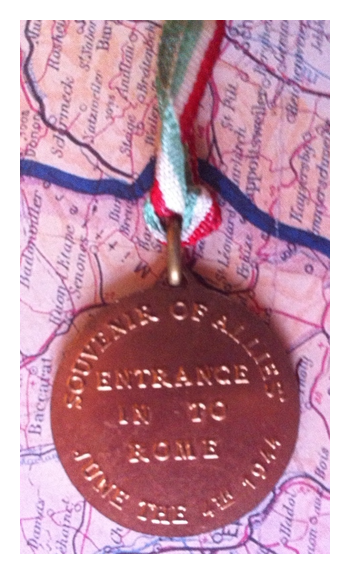 This medal was issued to the personnel who made up the “Força Expedicionaria Brasileira“. 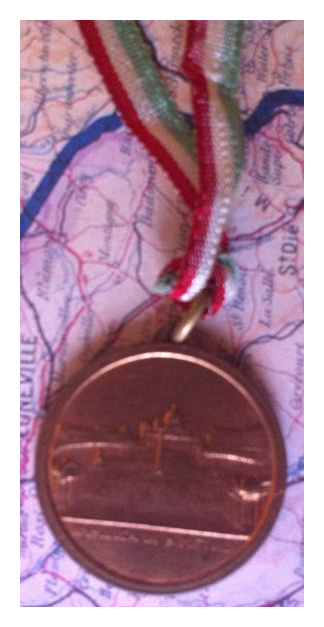 It’s not commonly known that these soldiers served in Italy fighting the Germans.